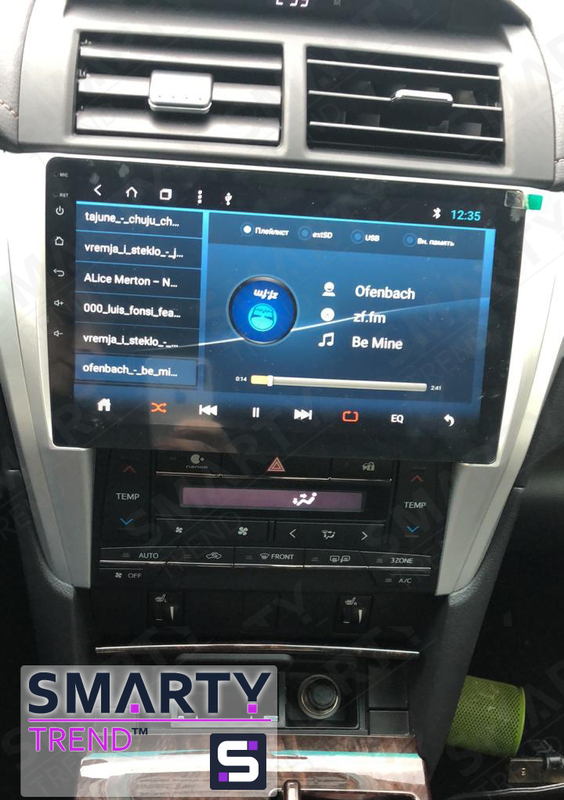 SMARTY Trend head unit overview for Toyota Camry V55. The car Toyota Camry V55 is an excellent representative of its class. The car deservedly enjoys its reputation due to its technical characteristics. Unfortunately, the standard equipment wants the best. If we take into account the cost of the maximum configuration with its capabilities, it turns out to be unreasonably expensive. The functionality itself is quite limited, which in turn makes us think about finding alternatives. Company SMARTY Trend will gladly help you! Many are interested in the question of the productive capabilities of the device. SMARTY Trend head units are based on the 1.8 GHz Octa-core processor (Allwinner T8) with the eighth version of Android on board. Thus, the device works without any problems and freezes, regardless of how many applications are in the background. For many car enthusiasts, sound quality is a priority. The head units of SMARTY Trend are equipped with a powerful Hi-Fi sound processor. It provides excellent sound quality, in most cases the sound becomes even better than when using the factory device. The standard equalizer will allow you to make the frequency adjustment at your discretion. The screen size is 10.1 inches, which is the optimal size for watching videos. SMARTY Trend devices work with absolutely any type of flash media. Thus, you have the opportunity to create your personal media library, and you can use the internal memory of the device, for example, to install applications from the Google Play Market. Together with you, let us sum up the results of the SMARTY Trend head units made of high-quality materials, excellent HD screen extensions, great functionality thanks to the Android operating system. Easy to connect various optional devices, including connecting your mobile phone. The company SMARTY Trend will help you to choose a device that will not only meet all your requirements, but also maintain the regular functions of your car!